While Santa is loading his rendeer with gifts, I`m working a few extra hours the next couple of weeks. 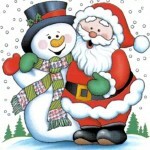 I wish all readers a merry christmas and a happy new year! I will replace the snow on the site with fireworks just a couple of days before new years day. 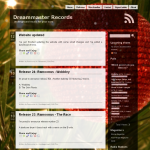 I totally forgot to mention that Dreammaster Records has a x-mas theme since a few days.